It’s Wednesday! I’m off work for the rest of the week to do things around the new house. But before I get started, I wanted to share my Wednesday Wedding post. 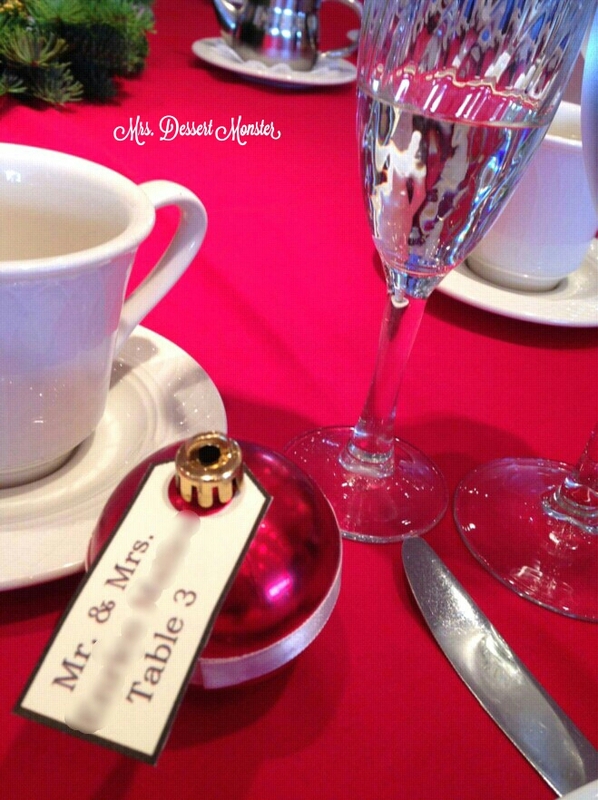 I had seen some cute ideas on Pinterest (of course) for ornaments as place card holders. 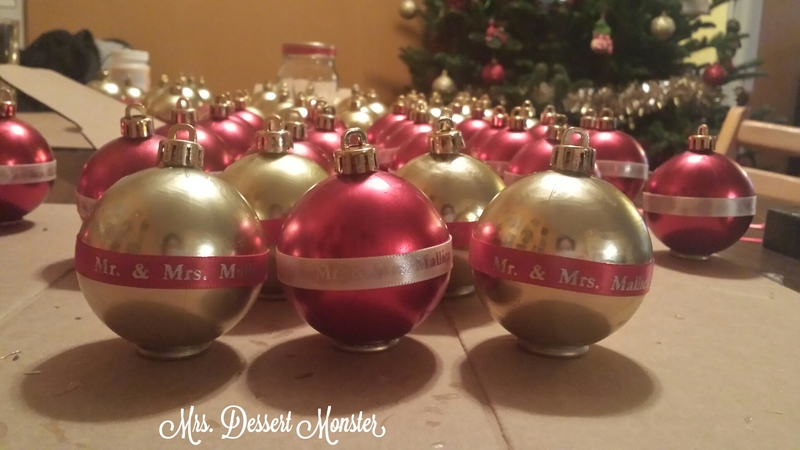 I loved the idea, & also liked that the ornaments could be given away as the wedding favors. 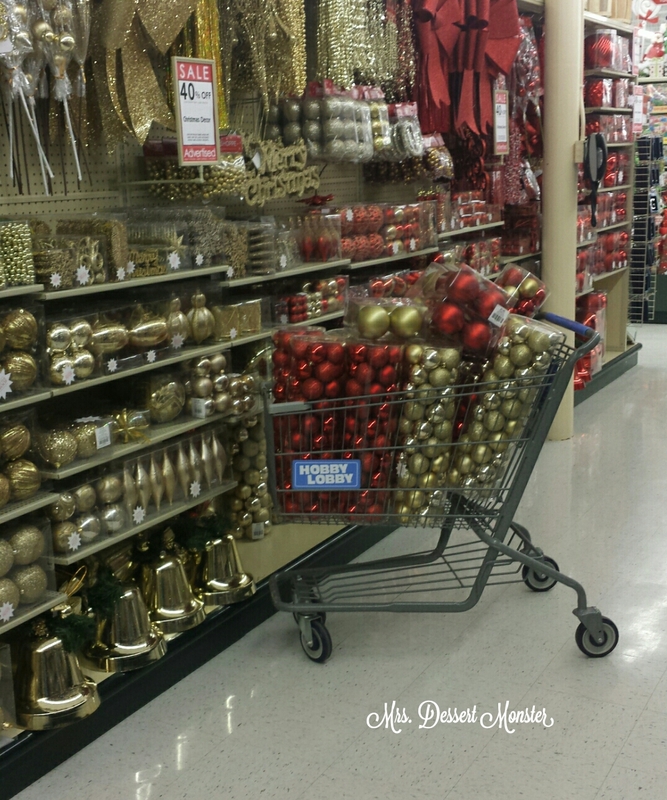 Ornaments made great decorations in general for our Christmas themed weddings, so around October when Hobby Lobby had a sale I went a little crazy. I also knew I needed ornaments for the wedding cake, so it was a great deal! One of the tutorials I saw on Pinterest for getting ornaments to stand up on their own said to use plastic fabric rings & glue them on to the bottom. I bought some white fabric rings & my hubby spray painted them gold. 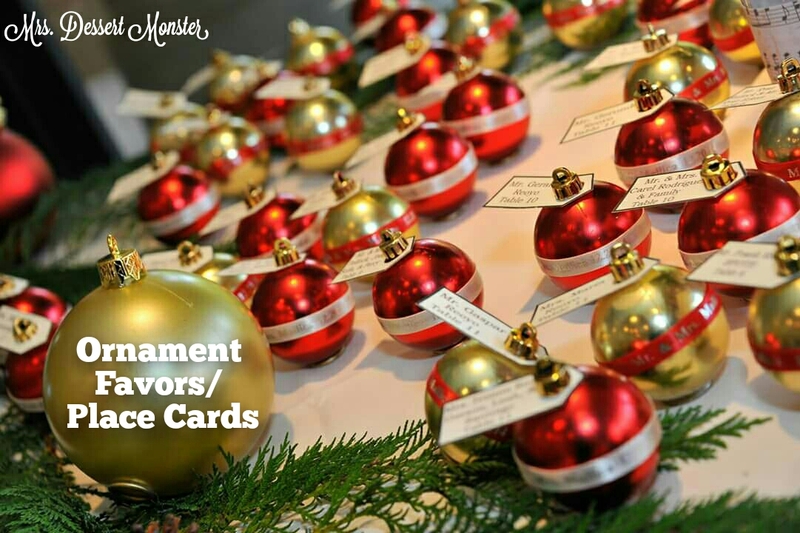 Originally I was going to hand-write on the ornaments. Pinterest made it seem so easy! I bought some cute markers & everything. However, I could not seem to do even ONE straight! So instead I got the idea to order some personalized ribbon from Oriental Trading. 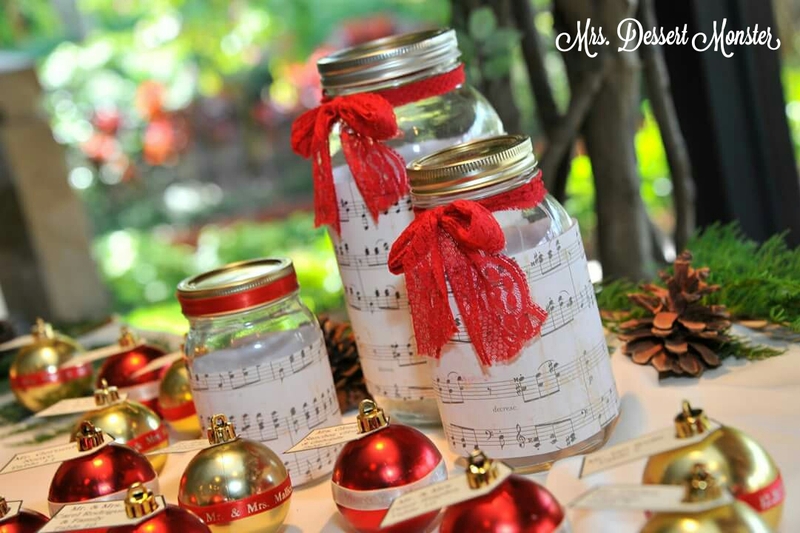 My friend Beth came over & helped me mod podge the ribbon & the fabric rings to the ornaments. The only thing left to do was make the place cards. I decided to do them like gift tags. I happened to have a circular hole punch that made them fit perfectly over the top of the ornaments. Our place card table looked awesome! Thanks for checking out Wedding Wednesday!